Most people recognize that taking breaks are important, but what they often don’t realize is that even very brief breaks — of just a few minutes — provide benefits in terms of concentration, focus, better performance, and sustained energy throughout the day. A recent article entitled “Give Me a Break” in the American Psychological Association’s Monitor on Psychology January issue, reviewed some of the recent research related to the importance of brief breaks. William S. Helton, PhD (a professor of human factors and applied cognition at George Mason University) found that short breaks can improve attention. Helton gave students a 45 minute test that required sustained focus and attention. Half of the participants were not given a break, while the other half were given a five minute break halfway through the test. Those that were given a break, performed significantly better than those who were not. The take-away? Although we think, paradoxically, that plowing through a long assignment is the best way to get it done, taking well-timed breaks can actually help you come back to the task with a fresh mind and renewed focus. Researchers at the University of Illinois at Urbana-Champaign found that short breaks can elevate your mood. In this study, participants were telemarketers at a call center in Korea. Those that took more microbreaks (stretching, watching a video clip, have a snack, etc. ), seemed happier, more engaged in their work and boasted better sales performance. The take-away? 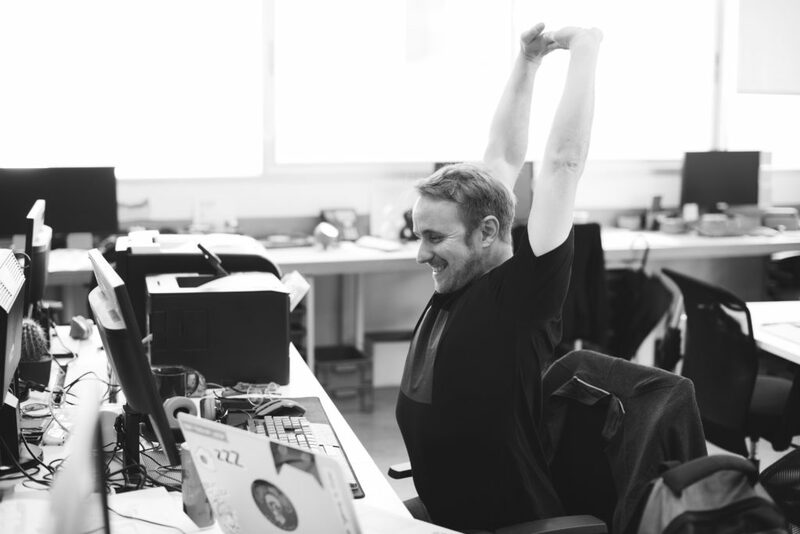 Although weekly periods of exercise (like taking a yoga class, running, or long walks) provide much-needed recovery, taking quick breaks throughout the day is essential for sustaining energy, concentration and a more positive mood hour-by-hour. You can start implementing brief breaks in your own work life by starting with something simple, like taking a five minute walk each morning. As you become more comfortable with that, don’t increase the time of the walk, increase the number of walks by adding one in the afternoon and eventually to one in the evening. Some of our clients use meditation, breathing exercises, stretching, even reading a book for five minutes or less to get a break, refresh, and refocus. Question: What types of brief breaks are you already taking during the workday?